Blogodidact: Do you like your iPad? What is it that keeps it in your hands? Hint: it ain't Che or Fidel or Karl. Do you like your iPad? What is it that keeps it in your hands? Hint: it ain't Che or Fidel or Karl. “Hey, you like yer iPod? So do I, hand it over, you don't have no right to keep me in silence, hand it over. Or else...! Imagine if the people standing all around you, all began to nod in agreement, not with you, but with the person demanding your property. Authorities, over hearing what's going on, approach, glaring at you and nodding for you to hand it over. Does that sound like a place you'd like to live in? Or does that sound like the sort of place you'd flee from? Fast...? Does such a place sound to you like one that's discovered the true meaning of Justice, or like one bringing on the destruction of, Justice? Well that scene is the message that is being taught as an ideal to your children in Missouri's college system today; the message that if others have what you want, and if there are enough numbers 'in solidarity' with your group, then you can and should force those who have what you don't, to spread the wealth around - or else - or else they will have their property smashed and their bodies beaten or even killed. And I'll bet there's a good chance that, in some ways, you've helped push that message along as well, even if you didn't know it. Have you ever bought or maybe smiled an 'Ooh edgy!' 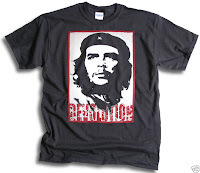 thought about someone wearing a Che shirt? If you don't have a visceral reaction of dread to the term Communism, then you have almost certainly helped to further it in one way or another. Everything else in political modernity is rooted in that thought, and it is in absolute, irreconcilable opposition to what this nation was founded upon, Property Rights and the family. I've got news for you, that idea, and your iPad, cannot remain within the same society for long, and it doesn't matter if you realize it or not; when you start down a path, you will wind up where it leads you, unless you change course. Hegel gave it a mystical appeal and a scientific sheen, Marx popularized it, and Robespierre, Lenin, Stalin, Hitler and Mao put it into practice and showed us what it must ultimately end in - rivers and oceans of blood. Socialism, Communism, Marxism, Fascism, Progressivism, are all only different flavors of the same anti-property rights koolaid. Rousseau mixed up the very first batch of this modern koolaid, his admirer Robespierre poured the first round, and modern intellectuals have been thirsting for and gulping it down, ever since. Rousseau fully understood what his ideas meant, and he understood that people such as those in small towns perhaps, would " ... get bitter, they'd cling to guns or religion or antipathy toward people ", he knew some would resist poeple who would try and take their lives from them, they would bitterly cling to their property and families with antipathy towards those who would try to 'free' them of them. For most people, when you come for what is theirs, it wouldn't matter that experts from the likes of Rousseau to Obama would claim to know better what's best for them, they'd want to keep what is theirs. With that in mind, Rousseau followed it up with the statement that legislators, whom he idealized as gods among men, must understand, that for the common man, the bourgeoisie , you, that, "This means nothing less than that he will be forced to be free. 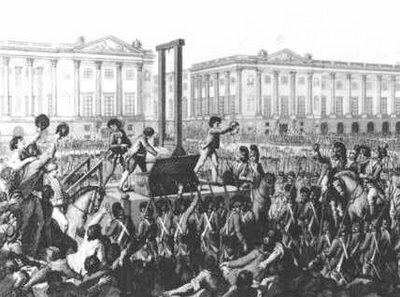 ", and that is just what they did during the French Revolution, cutting the heads off of thousands of those who didn't fit in with their democratic plans. Rousseau's ideas (particularly with "Emile, or education") have formed the foundation of our modern ideas of education, so it should be no surprise that today these monsters of banality are teaching your children that violence is an acceptable tactic, that threats and intimidation must be used to force the rich and the 'bourgeoisie' to comply with their ideas of 'social justice'. But when these people talk of 'eating the rich', you should keep in mind that they hate the bourgeoisie even more than the rich, for it is you, the middle class, who are the ones that they see standing most in their way, you are the ones preventing them from establishing their Utopia - in the place of what was once yours. "The tape also shows Giljum telling students how his union intimidated a company CEO by sending union members to his church and a shopping mall to “bump into him” and ask the CEO how the negotiations were going. To the delight of students giggling, Giljum said the CEO became so intimidated that he started wearing a “flack jacket” on the plant floor to protect himself." "Another student, a young woman, poses the question of how many people have to attack a bank before it’s no longer considered an act of terrorism, but part of a revolution." Do you recognize who is saying those words to you every day of your life? In your favorite T.V. show? On the News? In your Schools? In your Government? The old joke of conservatives hunting under beds for communists falls flat today, you'll find them standing in public, just look to your left... and to your right too. How long do you suppose they will stop at only saying these words, how long before they begin acting upon them? 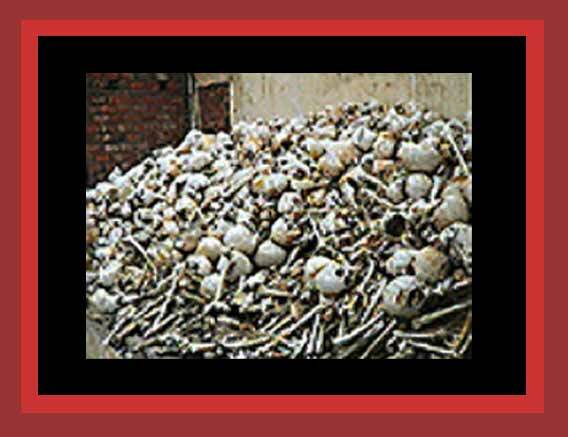 Communists support the abolition of property rights – what is it you are counting on to protect you when they do? What toys do you suppose you’ll have left, when you don’t have a right to retain anything of your own, or to even listen to what or who you wish to listen to? Madison said you had a property in your life... what’ll that be worth? What are you counting on to protect you? The good will of these instructors or their fawning students? Are you assuming that you can count on protection from the Constitution? Are you counting on the Rule of Law? If you've supported the idea that the government should confiscate the earnings of Executives, then you're supported throwing out the principle that anyone has a right to their property - what is it you think is going to keep them from taking what was once yours? If you've supported a Govt run healthcontrol system which mandates that you must purchase it or face fine and/or imprisonment, do you not realize that implementing such systems means throwing out the Constitution, the Rule of Law, and the principles they rest upon?! "The "first man's fence" was his government." It is only once you have the ability to say 'this is mine', while at the same time recognizing your neighbor's Right to do the same, only then do you have a basis for considering what can and cannot properly be shared, and the responsibilities which come with that understanding - that each person has a right to their own life, liberty and pursuit of happiness. Without that understanding, which is the very root of Justice, that fence won't be used as a tool which enables others to more easily respect what is yours and theirs, but as a weapon for Øthers to use in restraining you, and those like you, the 'bourgeoisie'. 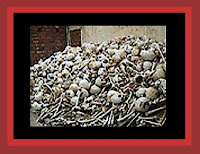 Do you really think the people who supported these regimes in the beginning, did so with dreams of slaughtering millions of people? I don't. They intended to do good, they intended to better the lives of their fellow man... but good intentions alone, won't save a single life. Anyone who advocates violating anyone's right to what is theirs, is just another brick in that very same wall. Have you thought about what the loss of that principle must mean? The people who began the regimes in this table, didn't - and disaster followed in their wake. When Communists talk about 'Democracy', about overthrowing property rights, this is what their idea of Democracy looks like! When you vote for well meanng policies like healthcontrol, when you support giving unions the power to force businesses to employ them, and force everyone working there to support them, when you willingly give money to schools like UMSL and UMKC who indoctrinate their students with the idea that violence is a useful tactic, then you are helping them to turn their words today into the nightmarish reality of a tomorrow that must eventually come - unless we stop and change course. Have you called your legislators? Have you called the University Chancellors? Have you called your local news station and demanded to know why they haven't run this story? If not, then that tomorrow is that much closer to coming to pass, thanks to you.